Ellen de Bruijne Projects is a contemporary art gallery and project space situated at the edge of the Jordaan. 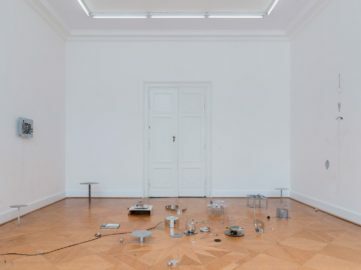 Since its first show in October ’99, the gallery has focused on new tendencies in contemporary art, concentrating on performative art, socially related art, installations and works in progress. The gallery creates a platform for young international artists and mid-career artists to perform, generating shows with high standards on an international level and within an international context.